The Carrara Challenge #7 begins! "CARDS FROM AN UNUSUAL DECK"
There are many card decks and many worlds hidden inside them, just waiting to be revealed. Classic French cards, Tarots, even modern trading game card decks can be your inspiration for this challenge, so unleash your imagination. "Unusual" means that you can conceive any variations to the original subject and choose your own interpretation, by reworking classical card images or using a deck as main subject of your work. How unusual the deck, is up to you. You can focus on a single card, if you prefer. and so on. Surely your imagination will go far beyond those examples, possibilities are endless! Great news! DAZ 3D offers the most generous sponsorship in Carrara Challenge history so far, and PhilW is back as munificent sponsor, donating products from his store for the winners and for TWO Honourable Mentions! Thanks again for your generosity, DAZ 3D and PhilW! 1. All renders must be done in Carrara. The images must be specially created for this challenge and previously unpublished. 2. Each artist can post one or more entries, but only his/hers top placement will be counted for a prize. 3. At least 2 WIP (Work In Progress) images must be posted in this WIP thread. It could be a pre-render screen grab of the scene set-up. These contests aim to share Carrara knowledge and techniques, so all comments about your work are welcome. 4. Plug-ins and content use are allowed and welcome, but MUST be credited. b. at least 2 different Carrara standard modifiers must be used in the Assemble Room. 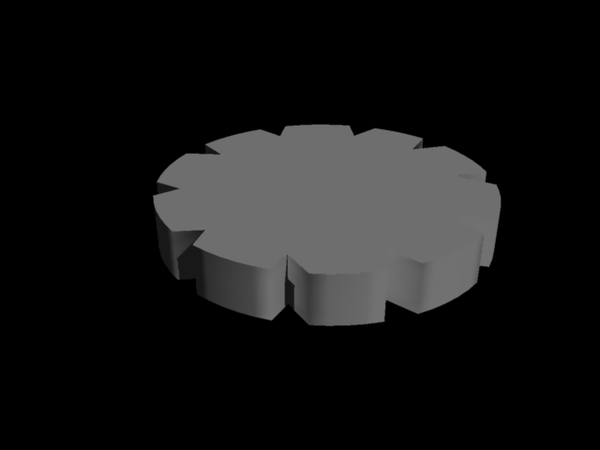 Bend, twist, bulge, explode... use Carrara modifiers power on you objects! 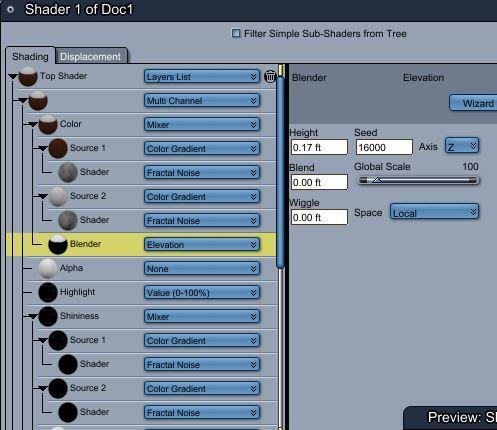 Other modifiers installed by plug-ins can be used, in addition. 6. Postwork is allowed, but if you use postwork the raw render(s) that went into your postworked image MUST be posted in the WIP thread. h. additional comments about your entry are optional and welcome. 1. This thread will change to "work in progress (WIP)" at 08:00 AM GMT on Monday the 3rd February 2014. 2. The final entry thread will open at 08:00 AM GMT on Monday the 17th February 2014. 3. All entries must be submitted before 11:00 PM GMT on Monday the 24th February 2014. 4. The final entry thread will change to voting thread after the submission deadline and the voting will begin. 5. The voting will run until 11:00 PM GMT on Monday the 3rd March. 1. You may choose up to 3 different entries for your votes. Please provide entry numbers for your choices. If you enter this challenge, you can't vote for your own entries. b. you express your personal preferences from 1st to 3rd. 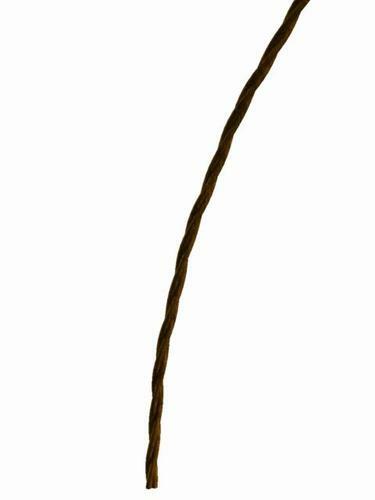 a. post a comment into this thread. iii. You CAN'T vote for the entries created by the host (MicioDue). 1. When the entry round is closed, all the votes cast according to the voting rules will define the final placements. The most voted entry will be the winner, the 2nd and the 3rd to follow. Challenge rule #2 applies if an author gets more than one entry among the first three. 2. If there is a tie, I will ask our great sponsor PhilW to break it. 3. The final word on the Honourable Mentions also belongs to our sponsor, PhilW. 4. The host (MicioDue) can't get the 1st Place in this challenge. If so, 1st and 2nd place will automatically switch. 5. The person who wins this challenge should host the next one. You can post any questions and comments here. Come on board! so many rich prizes deserve a special challenge with many great renders, so unleash the full power of your Carraras and let the contest begin! Thank you for hosting this. 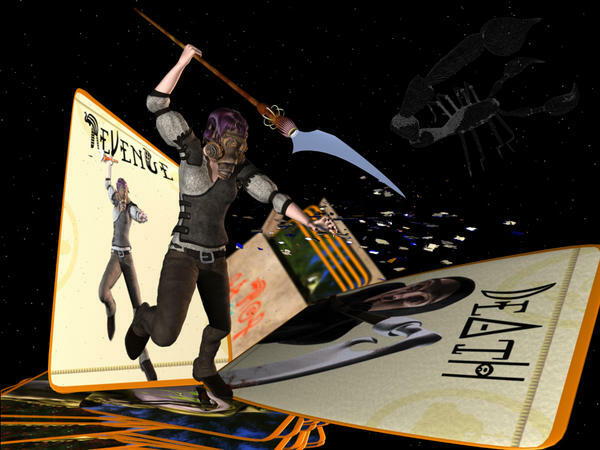 Thanks also to PhilW and DAZ 3D for their very generous support! I'm pretty busy, but I will do my best to get at least one entry into this challenge. That's a pretty good challenge ! A great idea for the theme and thanks for leading the way in putting this challenge together (and for getting DAZ to increase the prizes!). 1) Thanks for taking on the leadership role. 2) “CARDS FROM AN UNUSUAL DECK” is a wonderful theme. 3) Great idea to require the use of modifiers. 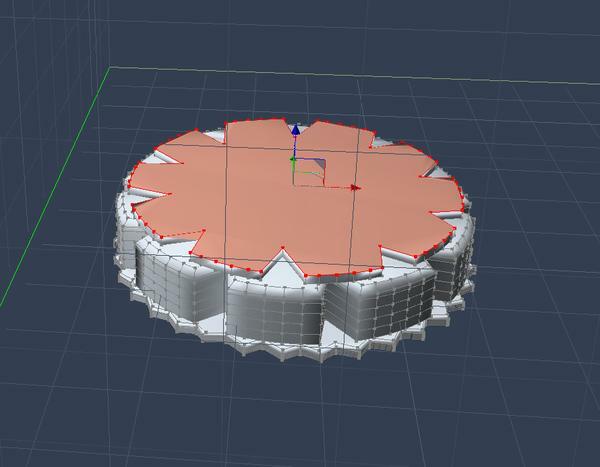 Sometimes I am so focused on vertex modeling that I forget that a lot can be accomplished with the modifiers. 4) THE PRIZES from DAZ – wow! I could clear my wish list with first prize. - Two Honorable Mentions – very generous once again, thank you. - I’m not just going to be an entry to fill out the field. I’m in it to win it! OK, I’m in it for the fun of it – but I’m planning on winning this one because I’ve had my eye on some more PhilW products. Consider a gauntlet thrown down. Where is the emoticon for grim determination? 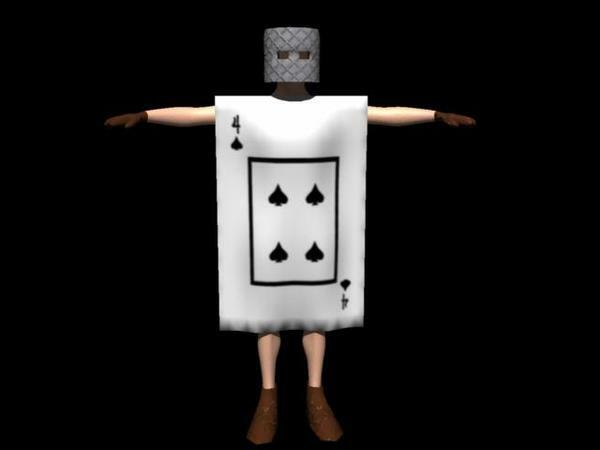 Here is a quick playing card soldier model created in the vertex modeler. 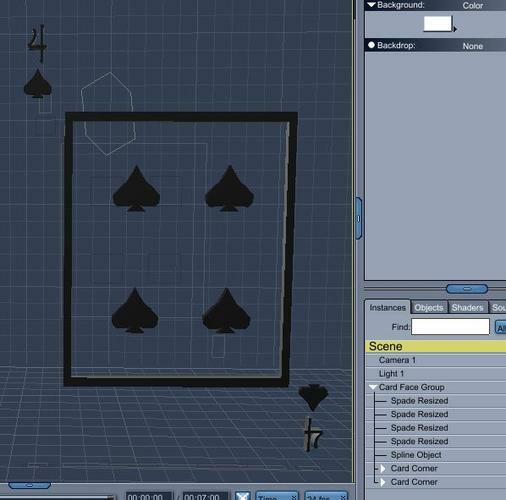 I can see that the card shape is going to make editing bone influences very tedious. 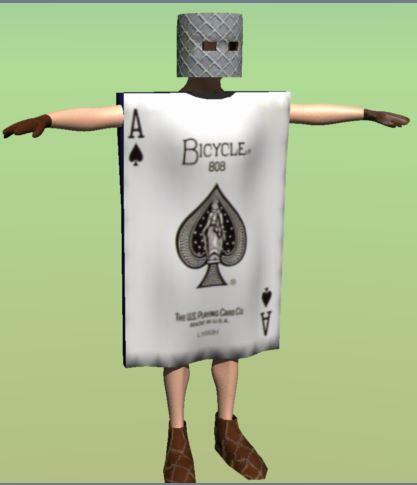 I found the Bicycle ace of spades image on the web. Keep telling myself, grim determination, grim determination. 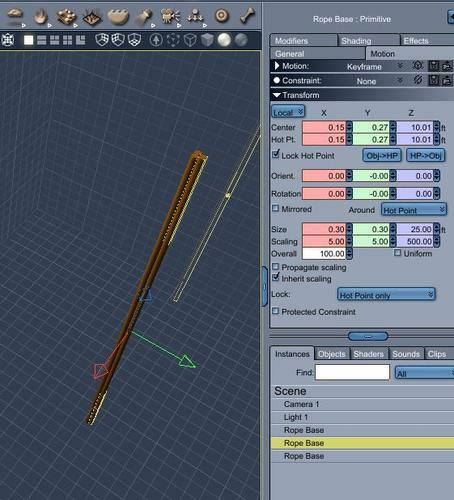 Since the requirement is related to modifiers, I'll show how I am making the spear from a primitive cylinder. 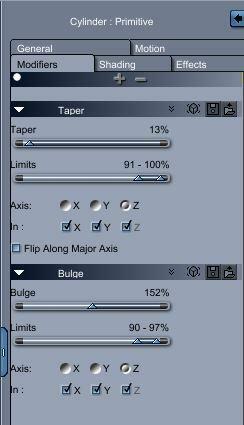 I applied a bulge modifier and a taper modifier. I used the limits functions to limit the modifiers to the spear point. 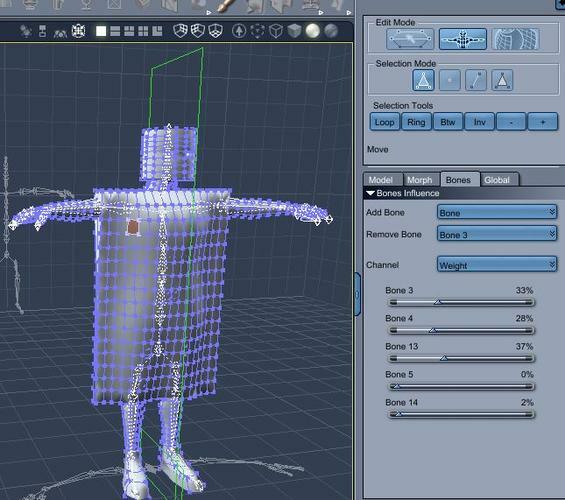 I then shaded the cylinder using a blender to create different colors for the shaft and the point. I used the elevation function with "local" setting. Please, folks, hold you creativity until Monday! When this thread will change from "announcing" to "WIP" you'll be free to post, until then we are here for all comments and clarifications before starting. Please, folks, hold you creativity until Monday! When this thread will change from "announcing" to "WIP" you'll be free to post, since then we are here for all comments and clarifications before starting. 1. This thread will change to “work in progress (WIP)” at 08:00 AM GMT on Monday the 3rd February 2014." I've been under a tight budget. I'm going to have to start winning some challenges using Daz if I'm ever going to get Carrara. You still may be able to pick up Carrara 7 Pro from the DVD's of back issues of magazines.. worth a look around.. I found that 3D World Magazine's July 2010 Toy Story issue had the carrara pro 7 disk. But, I have not had any success with being able to find an old copy. Looks like I’ll be kicking off the WIPs for this one..
the WiPs and non post render probably aren't in order..
Looks like I'll be kicking off the WIPs for this one..
Hey, don't discount the all-Carrara, new and improved, highly competitive Diomede! I like what your doing. I think this challenge will bring out some great approaches. 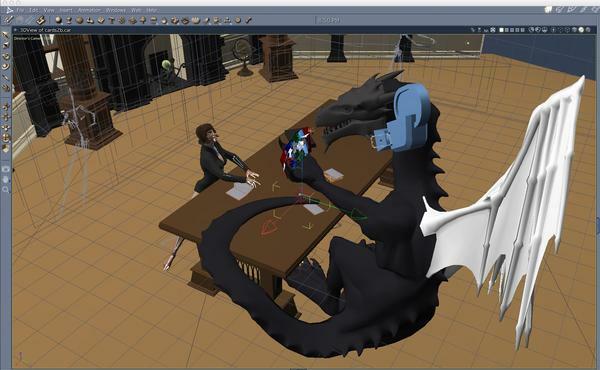 I bet we see some people experiment with the 3D paint tool. 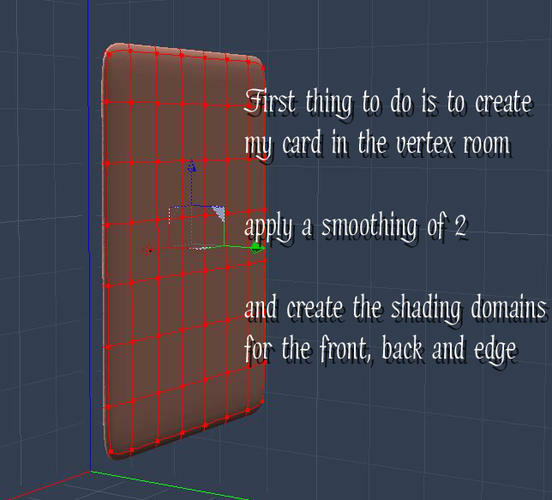 To make my individual card faces for 2-10, I saved a camera position and the production frame. 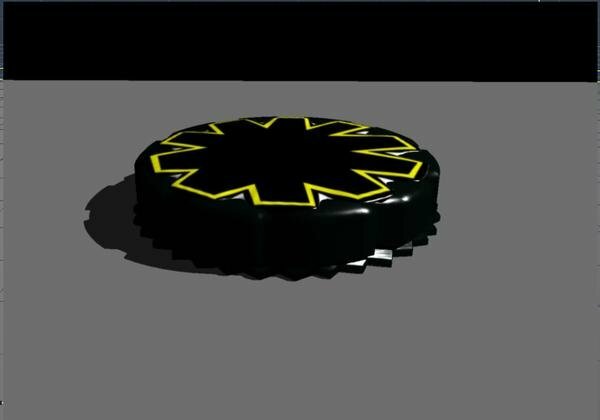 I've made the suit symbols and a box with spline objects. To change the card, I just duplicate and arrange the suit symbols within the box, and the card numbers in the corners. I use a white background. 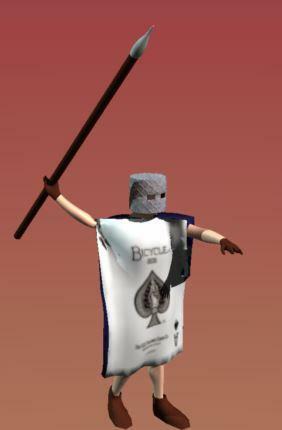 I render to create the image for the card face, then load it to the card soldiers. More to come on my plans to make the deck "unusual," beyond just being soldiers. 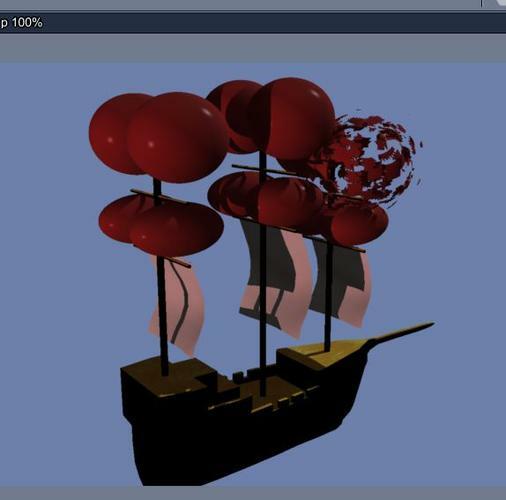 Here is the beginning of the "unusual deck" - a blimp-galleon with and exploding balloon. The explosion is done with a modifier. My plan is to have card people having an air battle in galleon-blimps shooting canons at each other. 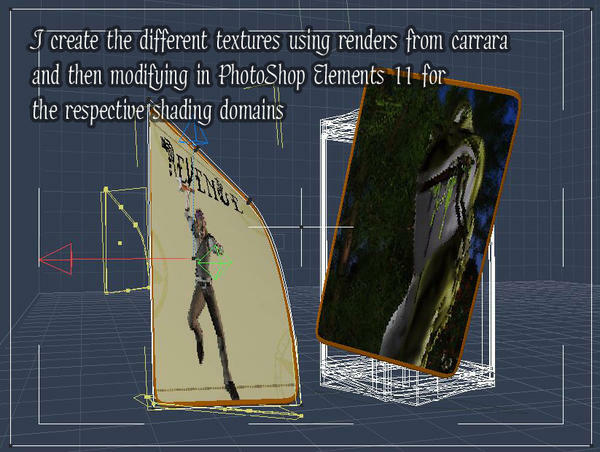 Because the card people were made and rigged in Carrara, it should be relatively easy to detach the model from the bones, make a few changes, reattach the skeleton, and people the scene. Of course, such a scene would not be complete without a little swashbuckling. The plan is to do everything in Carrara. Now it is a matter of improving all of the elements. You will be in awe when you see how these introductory elements are transformed into the final render. Great stuff so far! I'm looking forward to seeing these finished! Interesting techniques, well explained, a good use of Carrara features. I think the final renders will be spectacular! Stezza has built up lots of good will, and was the first to post in regulation time. More modifier usage - Every ship deck needs plenty of rope. 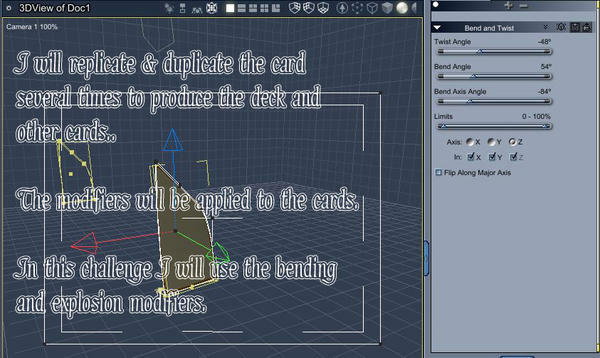 Here is a simple technique I am using to rig (in the sea sense, not the 3d sense) the sails and masts. I duplicated a primitive cylinder twice and set them in a tight triangle. I used a color gradient to apply a brownish-orange texture. I then used the twist modifier and the bend modifier to make the cylinders look like a length of rope. I hope this shows some of the people who feel like they are relative beginners that you don't have to use complex vertex modeling to get interesting results. Come on in, the water is fine! Or, air is fine in this case. Anyways... bravo on you both! Off to a great start! I am just getting back into Carrara for some projects I have in mind. This event looks like fun and a great way to learn some new skills. Here is my WIP for an unusual card game with some unusual cards. "Never Trust a Dragon"
This is just a screen grab as I am working with lighting and some other things. You can ignore the bottom half of the human... none of that will be visible in the final render so I didn't waste time posing or clothing it. 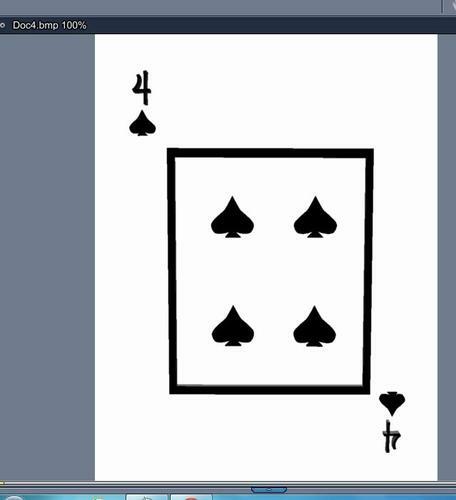 The cards and the symbols on them were created in Carrara (there is one basic card shape and then four different "suit" symbols - I am guessing this qualifies as at least two items created in Carrara?) Along those lines, does "point at" qualify as use of a modifier? I'm going to make something based on the Heroclix line of TGC. Here is a start of the base. Once I make the characters, I'll then have to make up the names and card info. I'm thinking of a couple ways I may use the modifiers. Now I can use some of that superhero stuff I have.